A recent column addressed what many of us would call “senior moments” — which is really normal forgetfulness — and how it differs from dementia, of which Alzheimer’s disease is the most common form. I had also addressed the differences between normal aging and dementia in an even more recent column, in further focusing on this terrible disease. Today, I’ll provide proven early indicators or warning signs of Alzheimer’s disease as defined by the Alzheimer’s Association (www.alz.org) and the Alzheimer’s Foundation of America (www.alzfdn.org). Before a diagnosis of Alzheimer’s disease is made, people often notice early indicators — either about themselves or a loved one — that may be an indication of potential Alzheimer’s disease. You should be aware of the 10 classic warning signs first identified by the Alzheimer’s Association and subsequently verified in clinical studies. If you observe several of these early indicators in either yourself or a loved one, be sure to tell your doctor. Memory problems. Loved ones with Alzheimer’s disease often have memory problems — many times with recently learned information but also with learned behaviors. As we age, it is normal to occasionally forget telephone numbers, appointments, and even names of people we know well. 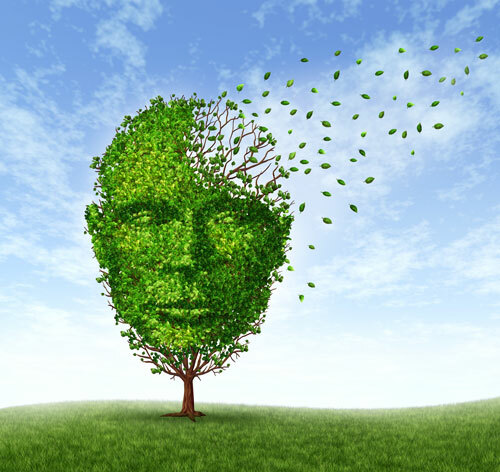 However, those with Alzheimer’s gradually forget more and more and are less able to recall learned information. Language and communication difficulties. An early indicator of possible Alzheimer’s disease is mild difficulty communicating with others as well as understanding what others are saying. We all may occasionally experience difficulty coming up with the right word to express our thoughts; however, someone with Alzheimer’s will have much more trouble with language and communications. Lapses in judgment. If a loved one starts to make unwise personal, social, or financial decisions, that could be an early indicator of problems in the future. While we all make occasional unwise choices, a loved one with Alzheimer’s often displays more serious lapses in judgment than usual for that person. For example, finding your wife’s iron in the freezer (that happened to me), inappropriate attire for the weather (a heavy coat in hot weather, for example), or saying something inappropriate in a given situation. Problems completing familiar tasks. Often the so-called “executive function” becomes impaired — for example, problems planning and executing learned chores such as fixing meals or paying bills. Probably like you, I can become sidetracked and forget where I was in the middle of an activity. 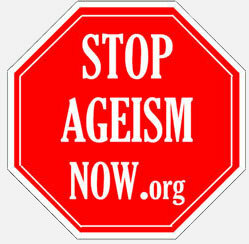 However, someone with Alzheimer’s will not be able to regain their bearings and continue with the activity at hand. Disorientation. Loved ones with early indications of Alzheimer’s disease can often become disoriented with their place and time. For example, they may not recognize their present home but refer to a previous location. Or they may be confused about the current time, date, season, or year (this is one of the “tests” used by doctors). We all occasionally forget where we are going or even what day of the week it is; however, those with Alzheimer’s may become lost on the way to a familiar location and be unable to make it back home (this is what happened to my wife, Carol, when she got lost in her car). Decreased ability to think abstractly. If a loved one begins having trouble completing complex intellectual tasks such as reading the paper or following a shopping list, then you should be concerned. For example, while we all may have occasional problems like balancing our checkbooks, a person with Alzheimer’s disease will probably have consistent problems in this task and, in the later stages of the disease, may no longer understand the meaning or purpose of the numbers. Misplacing objects. A common early indicator of Alzheimer’s is misplacing possessions and not being able to find them again — because the possession was put in an unfamiliar place (like the iron in the freezer). Caregivers in my support group reported this characteristic quite frequently. In fact, I still can not find one of my wife’s purses, of which she had two alike but one blue and one white. I am sure that one day when I do go through her things, I will find it in a strange place. We all occasionally misplace a set of keys or wallet only to find them later in a logical place; however, a loved one with Alzheimer’s disease may not be able to find them again. Changes in mood and/or behavior. A loved one with Alzheimer’s can become extremely moody — switching between emotions such as anger and elation within a matter of seconds. While we all occasionally feel down in the dumps or giddy, a loved one with Alzheimer’s disease may display these emotions for no apparent reason and shift between them unpredictably. Perhaps you have heard stories about religious nuns “swearing like a sailor” as they suffer the afflictions of Alzheimer’s disease. My loving wife went through a period when she lashed out at me for no apparent reason, and I suffered scratch marks on my arms as I defended myself. Shifts in personality. Loved ones with Alzheimer’s disease will often have changes in personality in addition to the above mentioned changes in mood and/or behavior. For example, someone who has always been independent and confident may become overly dependent and suspicious. They may also have hallucinations. While we all occasionally do not feel like ourselves, this feeling is usually temporary and does not change our mood, general behavior, or the way that we relate to others. Apathy and loss of initiative. A common early indicator of Alzheimer’s disease is increased passivity — that is, the condition or quality of being passive; inactivity, quiescence, or submissiveness. The loved one might constantly watch television, be reluctant to participate in activities which they used to enjoy, or commonly, sleep most of the day. While it is normal to occasionally feel tired now and then, a loved one with Alzheimer’s may be apathetic to the point that negativity affects day-to-day functioning. The bottom line — have you noticed any of these “early indicators” or “warning signs” in a loved one? If so, click on the Alzheimer’s Association website (http://www.alz.org/national/documents/checklist_10signs.pdf) for their official “Know the 10 Signs” list. I have taken the liberty of modifying these, based upon my personal experience, in this column. If you have any questions about any of these early warning signs, the Alzheimer’s Association recommends consulting your loved one’s doctor. Early detection does matter, as early diagnosis provides the best opportunities for treatment, support, and future planning. Bill Andrew identifies himself as a former “nutritionally-empowered Alzheimer’s caregiver” who attributes the slow-down in the progression of the Alzheimer’s Disease in his wife, Carol – and the growth of his own personal emotional, mental, physical, and spiritual capability and strength to provide quality 24/7 care for her in their own home – to the targeted nutritional supplements they both took on a daily basis. Carol went to her Heavenly reward on June 9, 2008 – Bill continues on to advocate for family caregivers. 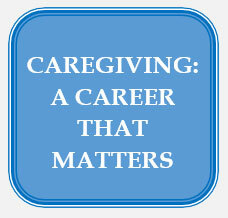 Contact Bill with your caregiving questions and comments via email at ASKBill@caregivershome.com.